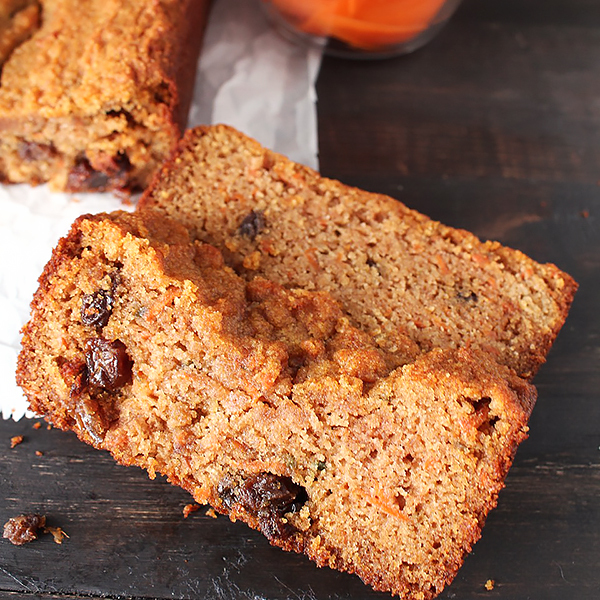 This Paleo Carrot Cake Bread is easy, delicious, and perfect for breakfast or dessert. It is gluten free, dairy free, and refined sugar free, but still has all the flavor that you love. Carrot cake has always been a favorite of mine. My husband and I like it so much that we actually incorporated it into our wedding cake. Giving it a healthier makeover was fun and the results were just as delicious- but without all the sugar and vegetable oil that the original has. Using Golden Barrel Coconut Oil keeps it dairy free and I use almond and coconut flour to keep it gluten free. 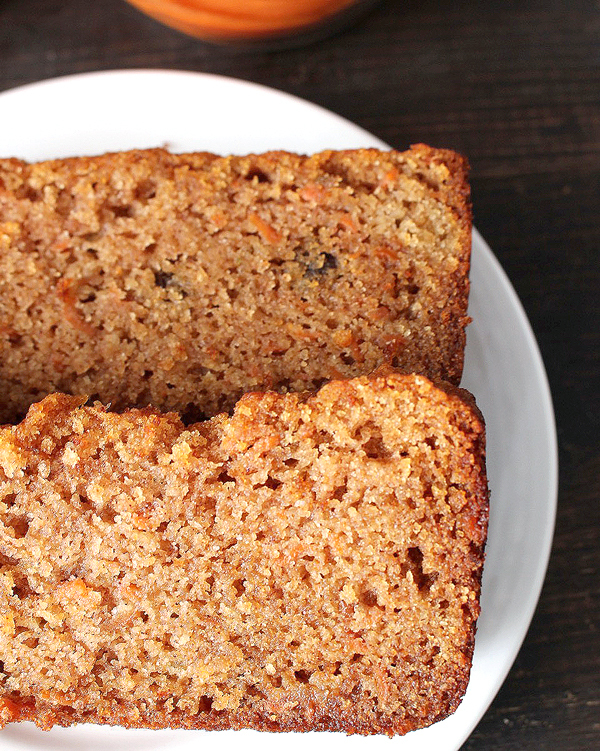 Sweetened only with honey makes it not quite as sweet as cake, but it’s still a great treat! Raisins are optional, I personally love them, but I know a lot of people don’t like them at all. No problem- just leave them out. You can add nuts if you like. I never add nuts to baked goods because we don’t prefer them, but can definitely be added if you’d like. You won’t even miss the traditional cream cheese frosting that’s on carrot cake. You can spread a little butter on it, but we didn’t think it needed any. And it gets better as it sits- so the second and third day it will be even more moist and the flavors will be more developed. This bread is moist, sweet, and easy to make. Everything is mixed in one bowl, by hand, and is done in 35 minutes. 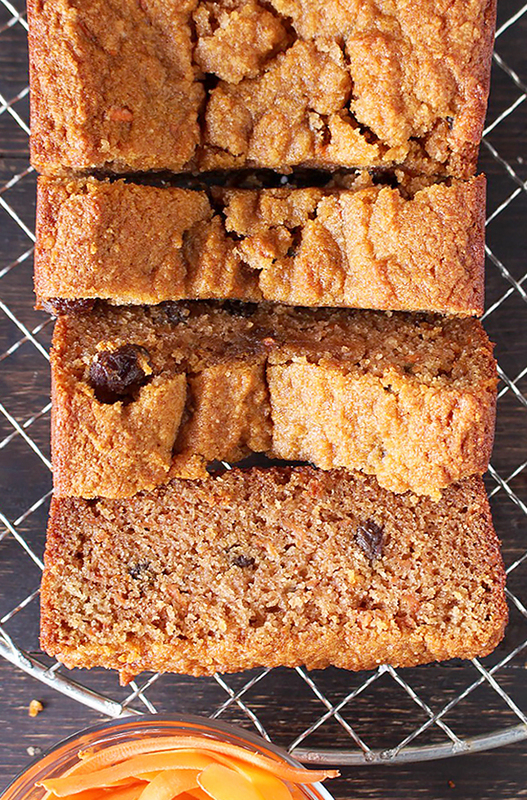 You will love this delicious cross between cake and bread. 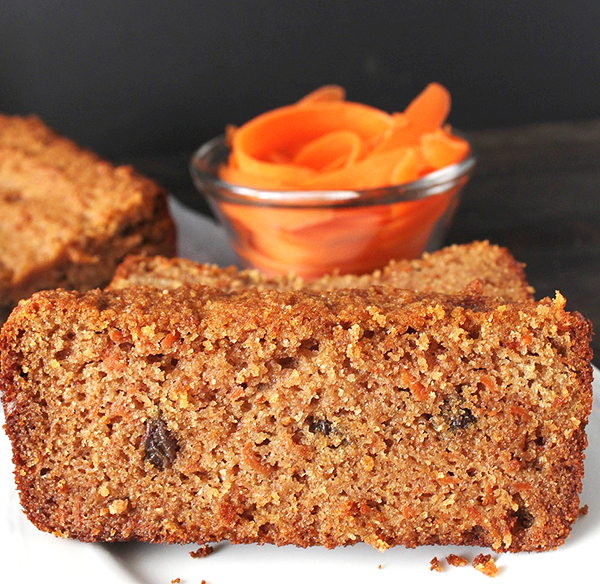 The ease of a quick bread with all the flavor of carrot cake. I know it’a classic to have carrot cake for Easter, but I like to make this all year long. Of course it makes an appearance on Easter, too! This will be a total hit at our house! !